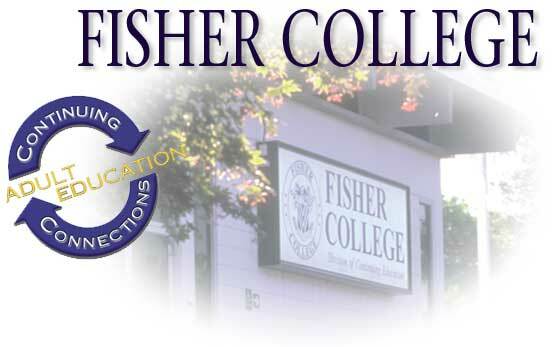 A few years back, we were contacted by Chris Fisher, the President of Fisher College. He was impressed by the content on our web site and wanted to meet with us. They needed advertising for their upcoming Division of Continuing Education’s January term--in a hurry! (within a three week window!) We were selected based on the quick turnaround, content of our creative presentation and ability to meet short deadlines! For close to a decade, we created and placed all the advertising for the College’s Division of Continuing Education in both collateral, direct mail and broadcast. 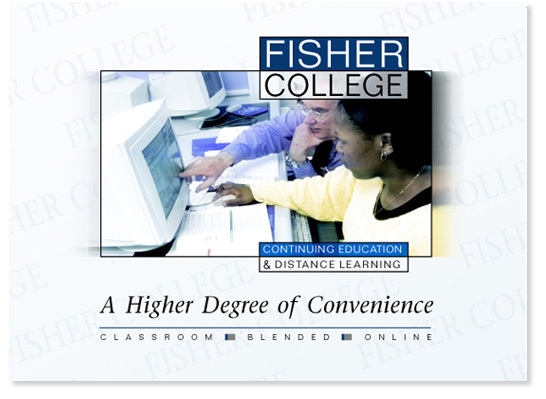 In addition, we produced a complete direct marketing and public relations campaign announcing Fisher’s unique e-Commerce program. 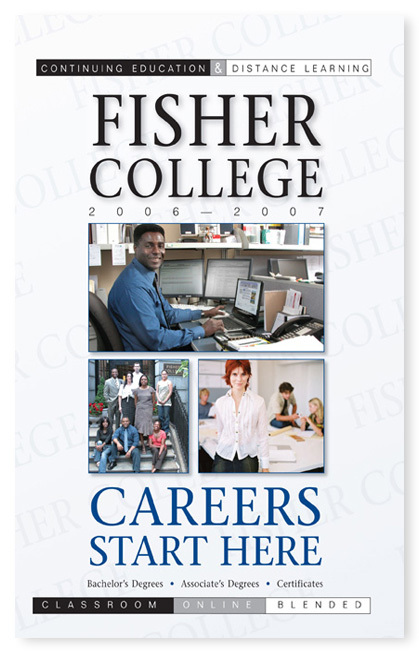 As enrollment continues to increase, look for the active, strong presence of Fisher College as the career enhancement source in the adult education community. 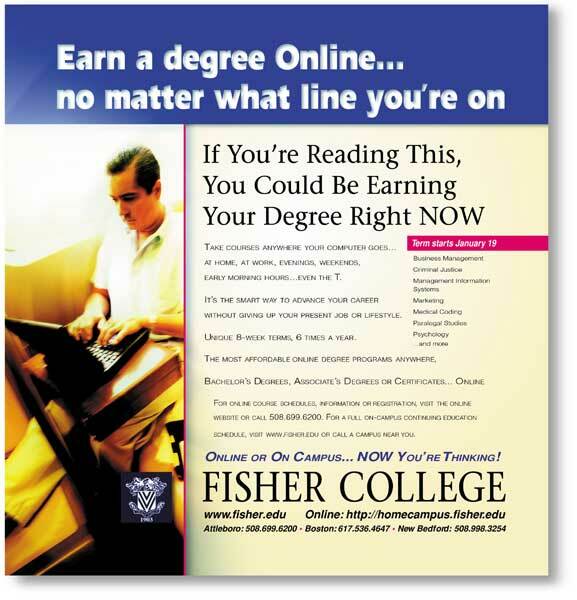 Annual view books, extensive newspaper advertising... even commuter rail and transit advertising coupled with major media buying in local radio kept Fisher College in the forefront as a major institution for Continuing Education.